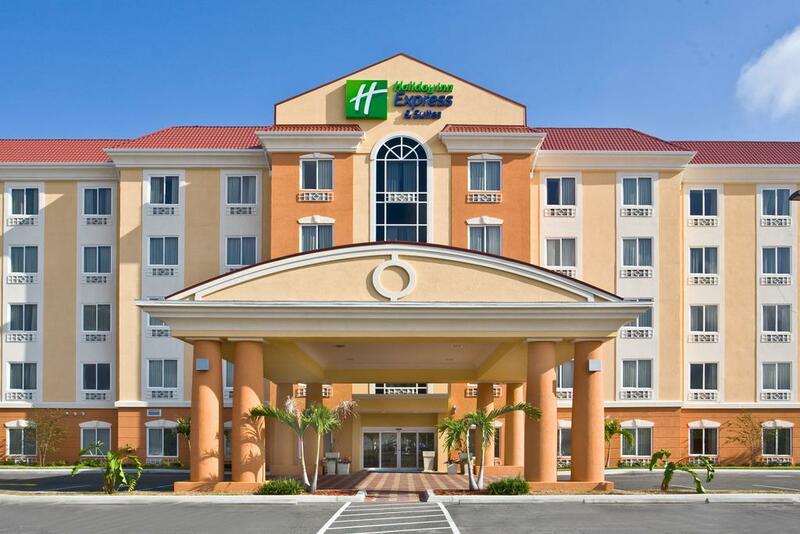 Located 30 miles southwest from Orlando International Airport (MCO) and just south of Walt Disney World, Holiday Inn Express & Suites, Orlando South-Davenport is an excellent choice for discriminating guest desiring a comfortable and quite stay away from the hustle and bustle but close enough to many of the major Orlando area attractions for convenience. Stay with a hotel name you can trust! 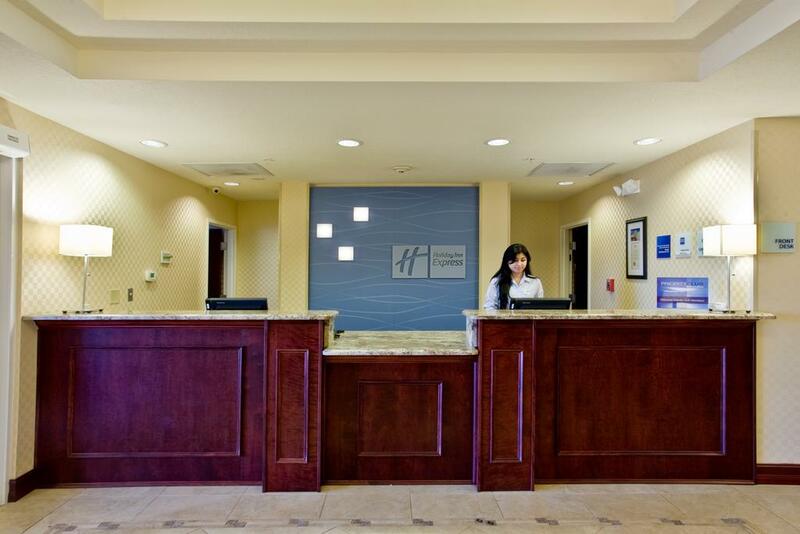 The professional and friendly staff at the Holiday Inn Express and Suites stand ready to greet guests and ensure a pleasant and relaxing stay. 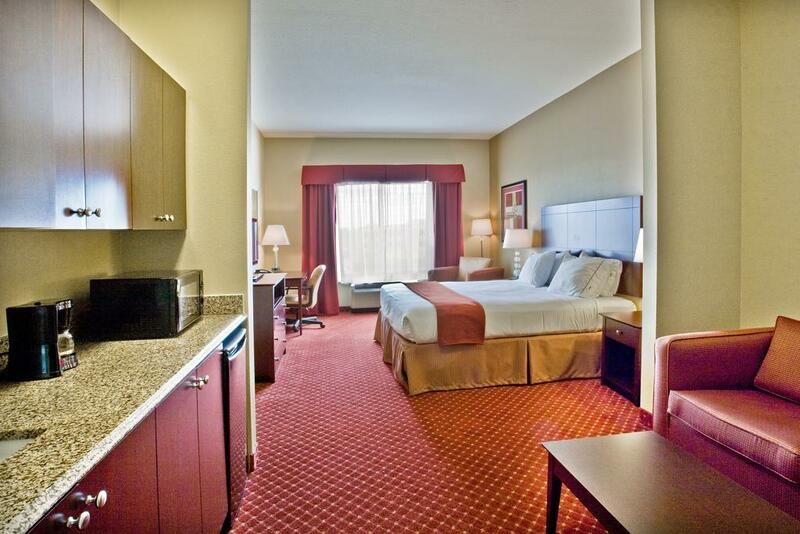 Settle into spacious well-appointed rooms with a clean, modern décor featuring black-out shades, comfortable pillow top mattresses, plush duvet, work desk space, LCD TV with cable and premium channels, mini refrigerator, microwave, free WiFi, coffee maker, hair dryer, and ironing facilities. Get the day started right and grab a morning newspaper and a bite to eat from the complementary full breakfast buffet. 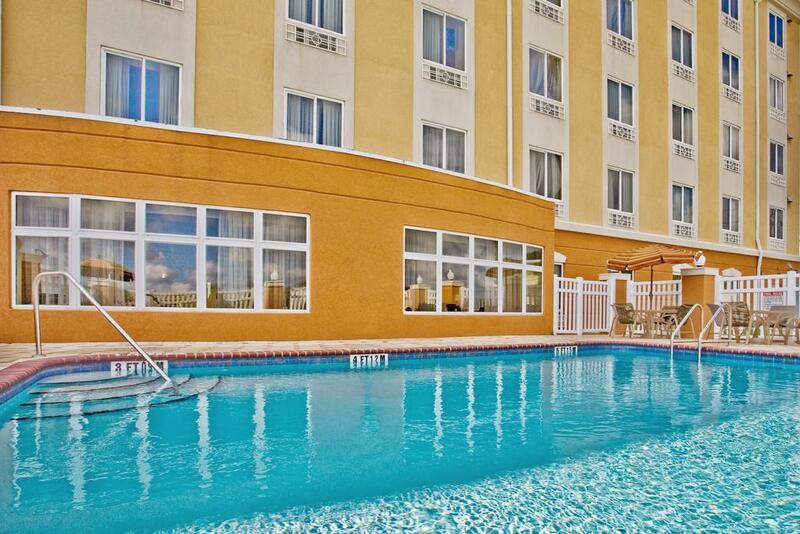 Take advantage of the outdoor pool and on-site fitness center. 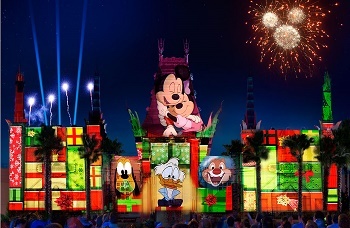 A quick trek southeast on Interstate Highway 4 for about 15 miles and the Walt Disney World Resort is at the doorstep with a host of Disney themed attractions to choose from. Tack on another few miles to the drive for SeaWorld and just over 20 miles away, is Universal Studios Orlando Resort. Head in the other direction, 15 miles south from the hotel property and spend time at the beautiful Bok Tower Gardens; a natural oasis for bird watching, native flowers and featuring a neo-Gothic Singing Tower and its 50-bell carillon. Finally, don't leave out a trip to the vibrant Orlando City center, where cultural venues, sport arenas, parks and abundant dining options await. 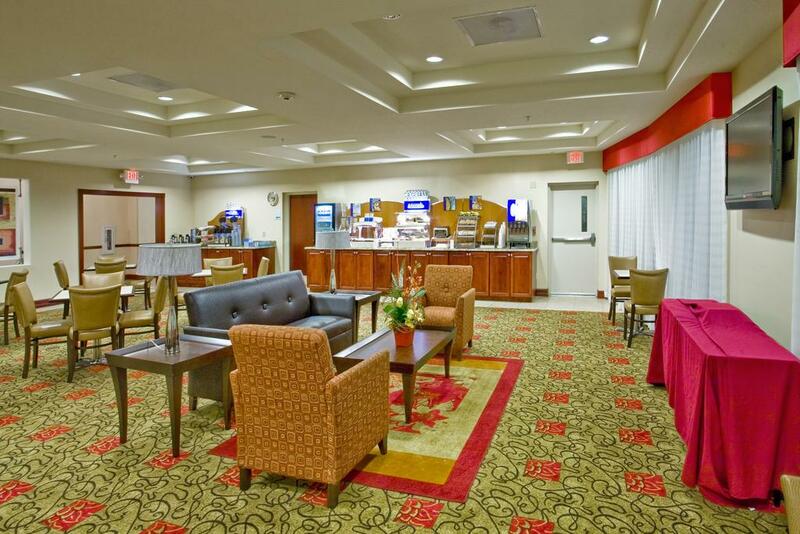 The Holiday Inn Express offers off-site restaurant deliveries for convenience. There are a few chain restaurants and fast food options located by the hotel property for a quick bite to eat but save the appetite for the variety of fine dining, themed eateries, and unique restaurants located in the Walt Disney or Universal Resorts or off the famed International Drive featuring over 50 restaurants to choose from. Looking for a little shopping spree? Start with Lake Buena Vista Factory Stores which has an open-air mall format featuring big-brand shoe, luggage and clothes outlets. Right off Highway 4 just past Walt Disney World Resort is the Orlando Vineland Premium Outlets another outdoor mall including high-end designers. By Universal Resort is the Orlando International Premium Outlets which is an upscale outlet mall with a fashion focus and for a more traditional mall setting, visit The Mall at Millenia which is a high-end mall with designer clothes, decor & jewelry plus eateries in sleek, glass-ceilinged space. The city of Davenport and surrounding Orlando area features a variety of outdoor and recreational activities. The abundance of lakes provides water activities and fishing options and parks provide biking and walking trails to enjoy the scenery. Also, there is no shortage of golf courses many designed by champion golfers. There is something too for the sports fan! Orlando hosts both NBA and Major League Soccer (MLS) franchises so catch the Orlando Magic playing at the Amway Center or watch the Orlando City SC soccer match out of Camping World Stadium (both located in the city of Orlando area). Tennis is featured at the impressive USTA National Campus in Lake Nona that boasts as the world's largest tennis facility! Spending the evening in Davenport? Close to the hotel property is the Ovation Bistro & Bar and Davenport’s Ale house. The Ale house will server to 2AM but is pub grub and sports on TVs. To ramp up the excitement, Downtown Disney features live music from top talent at the House of Blues with an impressive interior space and main stage. At Universal Resort, Universal's CityWalk, dubbed Universal Orlando's entertainment hotspot is a unique experience with many notable establishments such as Hard Rock Café and Margaretville and the Groove and Red Coconut dance clubs. Disney's Animal Kingdom Theme Park is the fourth of four theme parks built at the Walt Disney World Resort in Bay Lake, Florida, southwest of Orlando. It was dedicated and opened to the public on Earth Day, April 22, 1998. 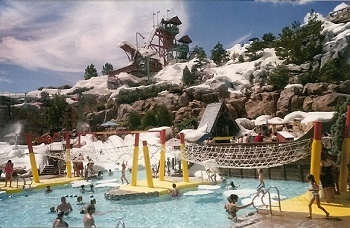 Blizzard Beach is a water theme park located at the Walt Disney World Resort in Bay Lake, Florida, near Orlando, Florida. All water areas are heated, with the exception of the melting snow in the ice cave of Cross Country Creek. Disney's Hollywood Studios (originally Disney-MGM Studios until 2008) is the third of four theme parks built at the Walt Disney World Resort in Bay Lake, Florida, near Orlando, Florida on May 1, 1989. Spanning 135 acres (55 ha), it is dedicated to show business, drawing inspiration from the heyday of Hollywood in the 1930s and 1940s. 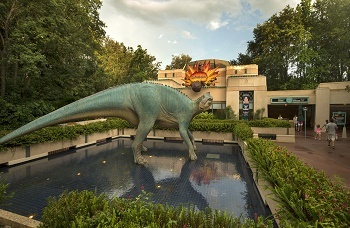 In 2014, the park hosted approximately 10.31 million guests, making it the fifth-most visited amusement park in the United States, and eighth-most visited in the world. 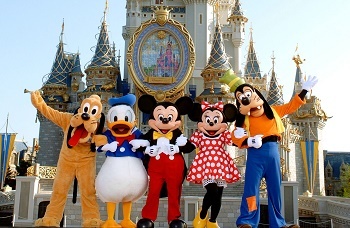 The Walt Disney World Resort, informally known as Walt Disney World or simply Disney World or shortly WDW, is an entertainment complex in Bay Lake, Florida, near Kissimmee, Florida and is the flagship of Disney's worldwide theme park empire. Overall very good stay!!! Close to where I needed to be and staff was very friendly!! Surrounding neighborhood not best however acceptable. Really nice hotel. A little far for Disney world. Complementary breakfast. Little hard to find the entrance street. Great hotel. Very clean and nice. And for the price it was the best deal. Staff was good and helpful. Allover experience was nice in this hotel. Good stay. A great hotel! Very good service, very clean! The hotel is very new, and neat. I definitely recommend! Very clean hotel and comfortable bed. I came to the area to look for apartments. The hotel was a bit out of the way and it was made to seem like it was closer to the Orlando area. All in all it was a great experience. The breakfest in the morning was good, although the room did get a little crowded and sometimes there were not enough seats. The exit off the interstate was a bit annoying because there is no direct route to the hotel coming off of I-4 westbound. The employees were friendly and the room was clean. I would stay here again. 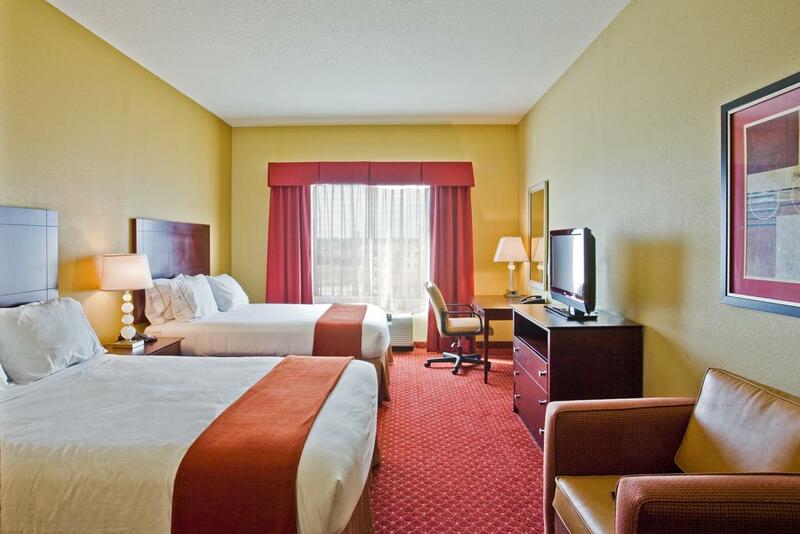 Comfortable, clean and always a dependable hotel stay. Great value. Close to attractions. Staff was very good. Hard to get it. Specially if you came from Orlando. Clean, good price, free parking, security box. Everything you want for a business travel was ok, but the Internet connection was horrible!!! A little drive from the parks but worth it....Nice hotel and clean room...Access to hotel only in one direction so if you leave be prepared for a few U turns and some mins to come back around! Overall great price low week good hotel!